There is much confusion regarding this Planet we call Earth. The majority of us have grown up thinking in terms of Earth simply being the planet on which we live. That Earth is a living, breathing, changing entity seldom, if ever, crosses our mind. 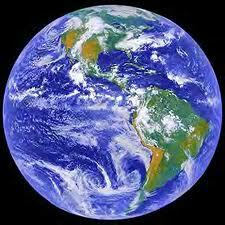 We are too busy taking from Earth, mistreating Earth, and demonstrating total disregard for Earth’s well-being. Earth humans have it all wrong. Instead, Planet Earth is a magnificent being named Gaia. According to numerology, Gaia’s Destiny Number is 9—the humanitarian, whose goal is perfection. Gaia cannot be limited to a small group of friends. Her philosophy is to inspire many. Gaia is willing to sacrifice self for her cause, is extremely idealistic, and enjoys people from all walks of life. Gaia is compassionate, wanting only to advance the human race. Her nature is to serve. As a Destiny Number 9, Gaia has evolved to the point of choosing to ascend during this lifetime (or cycle). Like all of us, Gaia came from the heart of Source, First Cause, the overarching Creator of All Things. She came forth as an individualized Being. With our limited eyesight, we view her as a planet. She is, instead, a tremendous being—one of multitudes in our Milky Way Galaxy. At some stage in Gaia’s lifestream, she volunteered to become a Prison Planet, where lifestreams that needed a place to awaken to their true identity as sparks of Source could live and grow. Gaia, as a Destiny Number 9, sacrificed her own well-being in order to grant Earth humans the opportunity to mature spiritually. Her compassionate nature continues to give us food and drink while we rampage her being, rip her apart with our violence, throw trash in her face, and repeatedly inflict all types of abuse upon her with no sense of remorse. Now, the time has come for Gaia to take advantage of her opportunity to ascend. In order to do so, Gaia must restore her being to her original perfection. Gaia has called for assistance from the Realms of Spirit in charge of those incarnating as planets. She has gained Divine Permission to ascend at the end of this cycle and to proceed with whatever it takes for her to prepare for her ascension. For decades, Gaia and her spokespersons have urged humanity to awaken and choose to ascend with her. She has patiently waited, while we run to and fro mindless of her service to us. Our disregard for Gaia is gross, in every sense of the word. She gifts us with the fragrance of flowers … sturdy trees to shade us … cooling streams in which to wade. 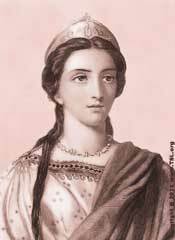 We trash her … stifle her with miles upon miles of cement … draw her blood (oil) and create wars to possess it. Now, the deadline approaches. Gaia will ascend on or around December 21, 2012. In order to do so, she must complete her own purification process. She wants to do this with love and in fact, much purification has taken place through the service of Lightworkers. Just as a boil on the skin of Earth humans can heal only after the puss has been removed, so Gaia must be healed of her boils. Earth humans vomit when sick—a mini-explosion brings forth that which sickens us. So Gaia must vomit through her earthquakes and volcanic eruptions. Earth humans cleanse the body with water; storms cleanse Gaia’s atmosphere and body. We use fire to purify gold; Gaia is forced to use physical fire to purify her surface. I say forced because the Violet Transmuting Flame consumes the negative and changes it into positive without the need to be destructive at the same time. But so few Earth humans have awakened to the need to assist Gaia in her purification process by using the Transmuting Flame that she is forced to rely on physical fire. Earth humans look at the natural events and call them Mother Nature. Little do we know that our own negative actions and thoughts, our utter disregard for Gaia’s well being have created the storms, earthquakes, and volcanic eruptions. Scientists think they can present scientific reasons, but all they know are explanations of how Gaia’s physical being reacts to Earth humans’ behavior. Ascended planets are not troubled by earthquakes, storms, or eruptions because there is no negativity present. Below is Lord Maha Chohan’s description of the Divine Being named Uranus, an ascended planet. To contrast, let’s see how Gaia is suffering. All quotes from Ascended Masters listed in bold print are excerpts from Law of Life & Teachings By Divine Beings. “The end of the Cosmic Cycle for the Earth to emit enough Light to be sustained as a planet in this solar system was to be in 1926. Since the Earth, known as the Dark Star, was not emitting Light, therefore would have been destroyed by the dark forces engulfing it. However, Cosmic Beings secured a dispensation which enabled Them to withhold the dark forces sufficiently to give the Ascended Master St. Germain an opportunity to try out His new presentation and application of the Law…. The I AM Activity was the beginning of the Teaching for the New Age as the old or occult law was set aside. Tremendous service was rendered through it for mankind, the Earth and all who were able to accept and apply the Law as given in the Teaching. [Sadly, the leader of this movement asked for his ascension because of the viciousness with which he was attacked by those who sought to discredit him] …. “When Lord Maitreya began to design the world religion with the Ascended Master St. Germain for His Seventh Ray cycle, They had to take into consideration, first, the amount of eternal Light the planet Earth and its people were required to give forth by Cosmic Law or be dissolved; second, the capacity of the ten billion souls to receive and understand the deeper instruction given. This was no easy task because the climax of the 14,000 year cycle should have been reached and every lifestream already developed to the status of a Christ under the Sixth Ray, the mastery as expressed through the Master Jesus. Gaia requested to put an end to her service to Earth humans and to ascend. Her request was granted and she is scheduled for ascension in December 2012. She deeply desires to take Earth humans with her into the ascended state, but should we choose to continue in our present violent, thoughtless, negative behavior, Gaia will have to leave us behind. She is scheduled to move forward in the Milky Way Galaxy and in our own Solar System to the position now occupied by Venus, the Divine Being of Love. No negativity can exist in Venus’ location. The citizen of Venus after being educated by the State is permitted to utilize his talents and gifts during the period of world benefit for the good of the entire citizenry. After the years of service, each is allowed to pursue such spiritual and cultural studies as his nature may choose. Thus in order to qualify to ascend with Gaia to Venus’ old location, Earth humans must be willing to live life in a perfected environment. That means all negative behavior must cease, be transmuted, and balanced with service to others. What is happening in the cosmos that means Gaia’s ascension? “As the Cosmic motion and in-breathing of the Central Sun draws the lesser Sun towards Itself, so in like manner the seven Suns are drawing their planets from the periphery of their system. The planet Venus which is fourth in our system will move one position closer to our Sun becoming the third planet revolving around Krishna and Sophia. So your Sun will draw Mercury within the Electronic Belt, and the Earth will become the third planet revolving around Helios and Vesta. There are many ascended beings working with Gaia and her Earth humans to prepare us for ascension; however, it is up to each of us to make the choice to ascend. Those who desire ascension must get busy preparing for it. Those who choose to remain in Earth’s present location in the Solar System will continue in their spiritual evolution on Mars or some other planet with which their level of consciousness finds resonance. Each planet moves forward in its entirety because that planet is the form into which a Divine Being incarnated, just like you and I are Divine Beings incarnated in human bodies. When we ascend, we will do so in our entirety. It is called the mystic marriage—our lower self achieves a higher consciousness level in resonance with our Higher Self (the second figure). We are then capable of living on the 5th dimension or on an ascended planet. May we come to appreciate the tremendous service of Love Gaia has rendered with the intention that Earth humans would awaken to their true identities as Divine Beings! May we all awaken to the glorious opportunity available to us—to ascend en masse with Gaia, our Mother Earth! Earth’s spiritual evolution takes place within a framework of numerous cycles, one of which is the 2000 years cycle dominated by one of the seven Rays as it expresses through a particular zodiac sign energy. For the past 2000 years, Earth has evolved under the influence of the 6th Ray, with Ascended Master Jesus serving as Chohan. The 6th Ray has ruled during the Piscean Age and is characterized by devotion to religious creeds and idealism as it is portrayed by becoming a martyr. All forms of self-annihilation, suicide, terrorism have characterized humanity’s misunderstanding of the 6th Ray energy. The 6th Ray manifests on the soul level as the devotion that holds family together, stimulates humanitarian endeavors, and produces dedicated individuals like Mother Teresa and Francis of Assisi. It is the inspiring force behind the principles of love, goodness, purity of heart, and selfless service. To integrate the 6th Ray means to work for the good of all by transforming exclusion into inclusion through acts based on love and wisdom. 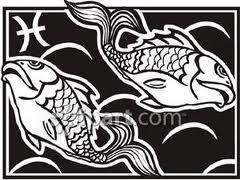 The symbol for the Piscean Age has been The Fish. Jesus demonstrated the Piscean Age with his feeding of fish to the multitudes. He called his disciples fishers of men. Now, it is time for humanity to begin functioning on the 7th Ray as it expresses through the energy of Aquarius. Ascended Master St. Germain and his Twin Flame, Portia (Goddess of Justice) serve together in the Office of Chohan of the 7th Ray. The 7th Ray function during this New Aquarian Age is to bring forth the Spirit in all matter … that humanity awaken to the fact that Spirit indwells all of creation … to work with all things in recognition that we are working with Spirit. For example: humanity’s awakening to the healing properties of crystals and that as we use them, we are working with Spirit. The 7th Ray is the Ray of the Alchemist—the process of changes that turn lead into gold. We function on the 7th Ray as we seek to re-unite our personality with our Soul and fulfill the life mission of the Soul. The 7th Ray works to change those forms, both mental and physical, that no longer serve the Divine Plan for Earth’s evolution. The Soul level response to the 7th Ray is to work to transform our earthly society—to create heaven on Earth. Jesus taught us to pray “Thy Will be done on Earth as It is in heaven.” In this New Aquarian Age, we are to ascend to 5th dimensional consciousness … to work on the Soul level with the purpose of bringing all things on Earth into alignment with the Divine Will and Plan. Humanity will be re-united with our Twin Flames and work together on the ascension mission. The symbol for Aquarius is The Waterbearer who pours out to the planet water that quenches all thirst. Jesus foretold the Aquarian Age when he instructed his disciples: “Go into the city, and a man carrying a jar of water will meet you; follow him.” (Mark 14:13) Jesus’ disciples were all Jewish; they knew that men did not carry water. Jesus had described a scene they would not see during the Piscean Age. Jesus came to teach humanity (apart from all religions) how to prepare for ascension in the Aquarian Age. 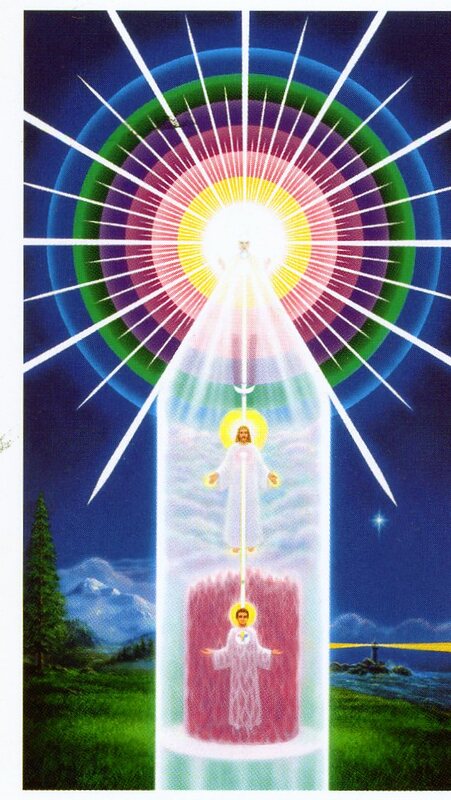 It is informative to know of the Coronation of St. Germain that took place on May 1, 1954, for it illustrates life on higher dimensions—the type of life we will experience once we ascend and are working cooperatively with the Ascended Masters and our Galactic Family. “I Am privileged among all the Sons and Daughters of Heaven to have the opportunity of bringing to fruition the full harvest of all the ages of spiritual service in which millions of lifestreams engaged. The individual who places the final harvest of an evolution upon the screen of life receives undue homage, for many do not think back to the countless numbers of consciousnesses that contributed to the final Victory. I Am merely the capstone placed at the apex of the spiritual pyramid. This pyramid was built out of the energies and vital life of countless men and women who served the cause of God through the centuries and who gave themselves without reservation to fulfilling His Divine Plan. On the eve of this great Ceremony, which will engage the attention and energies of all the Members of Our Spiritual Hierarchy, My heart is filled with gratitude and humility for the honor of accepting the Crown of Authority as Directing Consciousness for the incoming cycle. The diversity of activity connected with the investment of certain powers in a lifestream, even in the world of form, wise investment of more than ordinary powers requires a deep understanding and an illumined consciousness that those powers may be used always to expand the sphere of influence of God-good and in every manner aid the evolution of the planet and its people. Although I have been the Chohan of the Seventh Ray for many years, I had not yet become the Cosmic Representative of the new cycle, because the final vibrations of the Sixth Ray were still active in the atmosphere of the planet Earth. For almost 100 years after the Ascension of My physical body, I prepared to be invested with the power and authority as the Chohan of the Seventh Ray. I prepared to be invested with the Cosmic Authority as the directing Consciousness of the new cycle of time. All progress is in graded radiation, graded application and preparation of consciousness. Nancy’s Note: Many have been taught to fear the occult. Occult means hidden from view, supernatural. In truth, knowledge of the occult or metaphysical laws allows each human being to realize his/her sovereignty as a Son/Daughter of God. Jesus taught: “So have no fear of them; for nothing is covered up that will not be uncovered, and nothing secret that will not become known.” (Matthew 10:26) As we make this transition from the Piscean to the Aquarian Age, we are witnessing the truth of Jesus’ statement—at all levels of life. The occult is no longer hidden. Instead the occult reveals the means whereby humanity once more comprehends his/her individual sovereignty as a Son/Daughter of God. “It was at the time when beloved Kwan Yin turned over to Me the authority as Chohan that I retired from active service in the world of form. I shall always remember the Ceremony in which I received the Crown as Chohan of the Seventh Ray from the beloved Kwan Yin. I considered in My heart if I could ever hope to embody the mercy, the compassion and the love of such a Being as Kwan Yin, half hoping that I might not have to assume that responsibility after so short a preparation at inner levels. In regard to the use of the Sacred Fire of Transmutation, one of the major impressions which have differentiated Her activity from Mine seems to be that She taught the use of the Flame of Mercy as a power of transmutation in the changing of the quality of energy; whereas the presentation of the Violet Flame as brought forth more recently emphasized the consuming of discord. This is apt to bring into the consciousness and the mind of many a feeling of a vacuum and a lack. I Am hoping that through the pressure of Kwan Yin’s interest, We can in some way convey to the consciousness of new people particularly, that this Flame is not only a consuming activity of impurity, but it is also a transmuting and changing of the quality of energy into perfection. This process leaves them with the same energy which previously distressed them, but now constructively vibrating at a rate which becomes a store of merit within their hands and use. Much of the fear that enters the consciousness of new students with regard to the use of the Violet Flame, rises from the word consuming. Often as I sat with Kwan Yin, She used the words mercy, compassion, and transmutation giving the emphasis to the purification in the aspect of the Flame and in the change of the actual quality of the energy. It is now again the time to assume another vestment. I assumed the vestment as the Chohan of the Seventh Ray, and now I assume the Cosmic Vestment as the Director of this great incoming cycle of 2,000 years, which closes the major cycle of 14,000 years as well. I have lived but to serve life. I have lived but to set it free. Now is the hour of My opportunity. Centuries ago I hoped and wished for an earthly crown [as Francis Bacon, secret son of the Queen of England]. I had a vision of a united brotherhood of Europe. Through circumstance, mercy and the wisdom of the law I did not receive that crown. Now I Am about to receive a Cosmic Crown and in the greater wisdom and maturity of My consciousness, I find that even now I feel I Am not ready. One does not lightly assume the responsibility for the evolution of an entire planet, all its peoples, all the Angels and all the Elementals. I stand in that position today. I stand requiring the love and the friendship of embodied spirits. I certainly have the love, companionship, friendship and support in Heaven of the most exquisite Beings of Light and perfection, for which I Am eternally grateful. They are weaving the garlands for the great Temples. The Coronation train of this exquisite vestment will be over 40 feet in length. The Crown I will receive from the beloved Jesus, because as Prince of Peace of the sixth dispensation it has been in His keeping for the past 2,000 years. The Scepter of Authority I will receive from Sanat Kumara. It will truly be a day to remember, a day when I shall offer Myself again to Life and to Freedom. “The Sixth Ray completed its service January 1, 1954, and allowing for a certain time of overlapping energies, the Seventh Ray officially began its Cosmic outpouring on May 1, 1954. The activity from 1930 to 1954 was a period of preparatory activity. The Crown which symbolizes this Authority came to Earth with the first mankind to embody, upon the head of Archangel Michael, and every 2,000 years since then it has been transferred to the authority of the succeeding Ray. Thus, in 14,000 years, the seven presiding Chohans would wear it 2,000 years. Because of the fact that the consciousness of many embodied lifestreams blocks out at too high levels, just as you yourselves go to sleep if the atmosphere becomes too highly charged, or you would perhaps faint were you to have a tremendous visitation from a Member of the Hierarchy. Because of this it was requested that the Coronation of St. Germain should be at the lowest of the perfected levels; so that as many people in the etheric bodies as possible could witness this activity and bring it back into their outer world, and retain it in the awakened consciousness of participating in the choruses, hallelujahs and some in the vow. What an individual receives in the etheric consciousness is much more a part of his outer world than that which he would receive in his Christ Self, Causal Body or his Electronic Body. That is why the ceremony is not performed in the heart of the Sun…. We are endeavoring to lower the perfection of the higher Realms as much as We can, from Sphere to Sphere. That is My particular service in the universe. Bringing it down into the Seventh Realm is comparatively easy. It is the responsibility of Our beloved Chohan, Our beloved Master Whom We honor tonight, to lower it from the Seventh Realm into the world of form. That will require the assistance of every One of Us willing to put Our shoulders to the wheel, for the resistance only comes when We reach contact with the human consciousness. But the enacting of this Coronation in the etheric realm and then the added tremendous opportunity which you have made possible of re-enacting it in the physical appearance world at the same time, will anchor the truth, anchor the acceptance of this Master, His Love and His Light and His works into the physical substance of Earth, into the mental and emotional bodies of the people as well as into their etheric envelope [body]. That is the importance of having unascended lifestreams willing to participate in Cosmic Pageantry and Cosmic Drama. It is the fulfilling of the decree that you have said for centuries within the Lord’s Prayer, “Thy will be done on Earth as it is being done in heaven.” Tonight in heaven the great Master St. Germain is receiving the Authority to proceed through the next 2,000 year period as the Cosmic activity of the Ceremonial Ray of Transmutation. Tonight in the city of Philadelphia, through the physical bodies of unascended beings, the Master St. Germain is being given the Authority to proceed in the physical appearance world in like manner. It is a magnificent thing! How We watch, how kindly, how carefully We watch all of your preparation. How many of Us stood by your side as you earnestly endeavored to prepare this room, to prepare this throne, to prepare this crown, to secure this scepter and this sword, to bring forth these floral tributes, to bring forth these crosses representative of the Electronic Pattern of the Master We honor. To bring forth on your persons as much of beauty as possible to honor this blessed Friend of Light. Sometimes you think because in the world of form commendation is not always forthcoming, that which you do is not seen, and yet that which you do, these little simple things done in love are the things that build for you crowns for eternity. It seems that the days are filled with ideas and new endeavors in Heaven and on Earth, forming opportunities that arise from spontaneous souls, enthusiasms that come out of blessed hearts and provide occasions when We can merge spiritual and human energies to the furthering of Cosmic Causes. Today We are again blessed and benefited by such a Cosmic merger; not for 14,000 years has a ceremony of Cosmic Coronation in Heaven been celebrated at the same instant by embodied lifestreams; not for 14,000 years has the veil of maya been thin enough for the outer consciousness of individuals yet in garments of flesh, to perceive the truths of the inner and mystic ceremonies with sufficient clarity, faith, confidence and trust to put into action in the physical appearance world the necessary activities to complement the inner occasion. When men and women yet a part of the earth life are able to join consciously in the activities of the Kingdom, shows how thin the veil of maya has become, you see then what the Violet Flame and Ray and your activities over this past 20-year period has done; also the Transmission Flame activities. To make an atmosphere in which lifestreams could even conceive of the possibility of entering into a conscious service and communion with Those of Us Who are now in the Light of Heaven. In Shamballa tonight, One of the greatest Friends of Earth is receiving His due reward. An individual Who has had such faith, such confidence in mankind for so many centuries, that even the Karmic Board stands in amazement at His constancy, His trust and His belief of the ultimate goodness of His brothers and sisters and those whom He lived to serve. Tonight every heart in Heaven, every Angel, every Elemental, every Cosmic Being and Devic Lord, is happy beyond words to give honor to the new King, to the great Being Who is Freedom to this Earth and all upon it. Ah, hearts are happy for the personal happiness. For Those of Us Who stood by His side, Who have seen His successes and His failures, Who have seen the earnestness and the sweetness of His personal presence, Who have looked into the beautiful softness of His eyes and Who have known the dreams and the visions that He endeavored to share with mankind often so beautifully, We are truly grateful tonight that He shall receive cosmically this Crown. We are truly grateful, for Our life energies, that in any small measure may have made possible the sustaining of this endeavor, the achievement of which seemed due to failure, to the point where it could be crowned with success. We are grateful indeed that you, the handful within this room, have responded to His heart, who have followed the vibrations of His very Self and who have walked the waters not in vain. For all of you, We are so eternally grateful. “The procession started over the bridge at 6:00 P.M. E.S.T., into the glorious Golden City of Shamballa. The Seven mighty Elohim began the procession, followed by Sanat Kumara Himself as the presiding Hierarch and Lord of the World. Sanat Kumara wearing all of the garments of authority, The Bishop miter upon His Head and the Staff of Authority in His hand; followed by the beloved Gautama Buddha, who will, of course, in the coming ages succeed Him. Then followed beloved Lord Maitreya, also in the Office of the Cosmic Christ and carrying the Scepter of Dominion and Power which will be given into the hands of St. Germain as a symbol of the transfer of the Authority from the Sixth Ray to the Seventh. Following then came the mighty Archangels with Their beloved Complements [Twin Flames] and the Members of Their Court. Following Them came the Members of the various Kingdoms, the beloved Mahan Chohan and the Elemental kingdom, the Great Beings Who represent the four elements to the planet Earth. 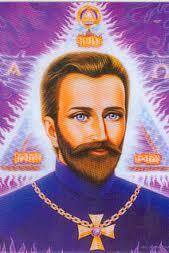 Lord Zadkiel preceding St. Germain with Holy Amethyst, His Complement upon His arm. Beloved Master Jesus, Who will transfer from His own consciousness and from His own hands the Crown of Light and Authority, wears the golden robe of His Office encrusted with the beautiful white Dove which was prepared for Him by the Ladies of Mary, which is exquisitely beautiful and which matches the highlights of His beautiful shining hair. With Him walked the beloved Mary, and many of the visitors from other galaxies. Those Who have come from other stars and planets, representatives from the Great Central Sun, the superior Suns of our system, Helios and Vesta Themselves coming in Persons, and many Individuals, Consciousnesses, Beings, Devas and Cosmic Lords, Whose Names would mean nothing to you in the outer, but Whose exquisite brilliance, beauty and Light are definitely adding to the atmosphere of the Earth in which you live and move. The music accompanying that exquisite procession is beyond words to describe. Some of the exquisite choruses of Handel’s Messiah sung in the beauty of their own natural expression in higher Realms are carried by the Celestial Choirs, by the Archangels, by the Seraphic Choir which has exquisite overtones, and the entire City is surrounded by millions and millions of Angelic Beings Who are drawn like bees to the flower, by the radiation, by the incense which is the Light and happiness of the gathering and by the desire to participate in anything which is worship of God. The disembodied lifestreams who are applying for the opportunity to re-embody have been drawn all together and they are standing in the atmosphere over the central Temple in the hope that at the crowning of the beloved St. Germain, when He gives opportunity for the granting of special requests as the initial pulsation of His mighty Ray flows forth, that they presenting themselves through a spokesman may receive the permission to bring into embodiment from their ranks those who will serve this great Court, this great King, this great St. Germain and this great new era. The lifetimes of those who have turned their attention to the Retreat at Peking which is close enough to the Gobi to be within the magnetic pull of Shamballa, have also joined the group of silent witnesses. Every soul whose body is asleep this moment is within the atmosphere as well. Some in a rather somnambulistic state, some not even knowing that they are blessed in the comparative safety of their own rooms and homes. But through their bodies is passing just like water those beautiful iridescent rays of light that look like mother of pearl; they change in color as each group of the procession reaches the heart of the Temple, because the predominant characteristic of the group of worshipers as they enter the Temple and take their places, forms the atmosphere around the entire City. It is arranged that beloved St. Germain and the Goddess of Justice, Who wears a soft lilac similar to your chiffon or georgette and Who walks on the arm of St. Germain, it is the wish and desire that They come last so that the great central Hall is completely occupied. Sanat Kumara is upon the High Throne, at the back of the Altar, which no one ever takes but Himself. Below and right in front of Him is the raised dais, the Throne for the Master St. Germain and by his side the chair for His beloved Complement the Goddess of Justice. Standing at the right is the beloved Master Jesus, in the most exquisite gold cloth smiling graciously waiting with an exquisite Angelic Being by His side holding the Crown of Authority. At the other side is the beloved Maha Chohan, so happy, so proud of His precious Son, holding within His hand the Sword, symbolic of action, and which He himself will give. The Holy Spirit representing action and Light vitalizing whichever Ray is going forth at any given time. The Scepter is within the hand of the beloved Lord Maitreya Who will at the time of the ceremony pass it into the hand of beloved St. Germain. The beloved St. Germain looks so exquisite with a magnificent train carried by the beautiful Angelic Host. He has entered the doorway of Shamballa proper. The music ceases for a moment and the entire group of Masters including beloved Sanat Kumara rise. As They stand, it is a beautiful picture. Beloved St. Germain and beloved Goddess of Justice, arm in arm stand in the doorway at the threshold of a new era. An era of Freedom, an era when all His hopes, all His Visions will be fulfilled. Then as they begin the long and solemn march down the center of that exquisite Temple, upon the large and beautifully designed purple carpet, the beloved Master Jesus, Sanat Kumara and the Maha Chohan are preparing to receive Him to that Throne from whence He will govern well the planet Earth and all peoples, all Elementals and Angels for 2,000 years. The Throne to which He will receive you, each one, when your work is done, when you lay down these garments of flesh and return Home. As He receives first His Crown, the great Choir sings the anthem (the spiritual words to the tune God Save the King), you too join in that anthem of love to St. Germain, and in the physical appearance world the same great activities will be manifest through the hearts of faith and love in Philadelphia. As you sang that song, beloved Master Jesus placed the Crown upon the head of the Master St. Germain, and with it conferred the Power and Authority for the next 2,000 years to the Master, the Friend of eternal Freedom. Then Sanat Kumara, stepping to the front of the Throne of Light, and from Him He received into His hands the Scepter of Dominion and Power (Rod of Power). Then the magnetic power flowing through each succeeding Ray during the 2,000 years of Cosmic action, Lord Maitreya takes that activity and places It in the hand of the Master, so that all of the Powers and Ecstacies of the Sun, of the Archangels, of the Devas, of the Cosmos are focused from this moment henceforth through the Violet Ray, through the Ray of Freedom and through the beloved St. Germain and His representatives. His Cosmic King, Lord Sanat Kumara, then stepping back, makes a place for St. Germain and the Maha Chohan Who is garbed in all the glorious majesty and dignity of those robes of an oriental potentate, with the golden topas on the turban and on the forefinger. He gives to Him the symbolic Sword (representing the power of the Holy Spirit to activate the particular Ray blessing the Earth with all the life at His command). All the energy that comes to this planet passes through His Body and is then diversified through every channel. This energy of the Holy Spirit, He gives into the keeping of the Master St. Germain to energize and vitalize the era of Freedom. First through those who represent Him in the world of form and then through those who will come and join Him in the New Day. “At the moment when that Crown of Light was placed upon My head, at the moment that Cosmic Coronation took place, from the mighty consciousness of the Silent Watcher Herself there was poured into My consciousness (symbolized by the crown), the fullness of the Divine Pattern, Plan and Vision for the next 2,000 year period which it is My privilege to develop. For one instant I saw the beauty of the Temple worship, the beauty of the land where sickness, disease and death would be unknown, the beauty of continents that have yet not risen from the sea, the beauty of each of you, and many others who still sleep, their souls resting in a temporary inertia, the beauty of a planet where men and women in Freedom’s robe each one a king or a queen in his or her own right, and children princesses and princes of the Sacred Fire developed and matured without knowing age or sorrow, where such a thing as tears is no longer known.